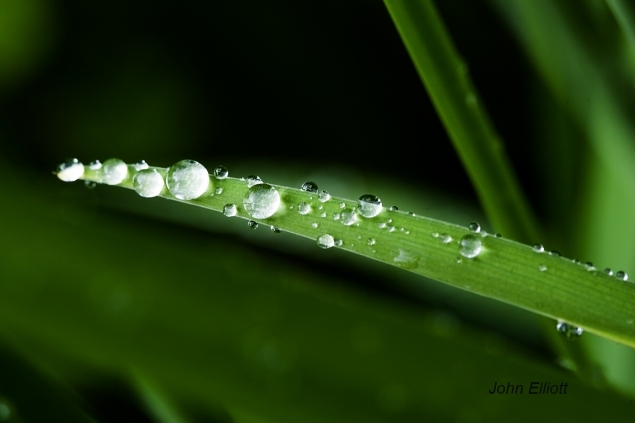 This photo was taken in my front yard after a rain. This photo tries to express the sparkle created by the indirect sunlight on the Tiger Lily leaves. A leaf out of focus in the background provides a delightful glow just above the primary leaf.